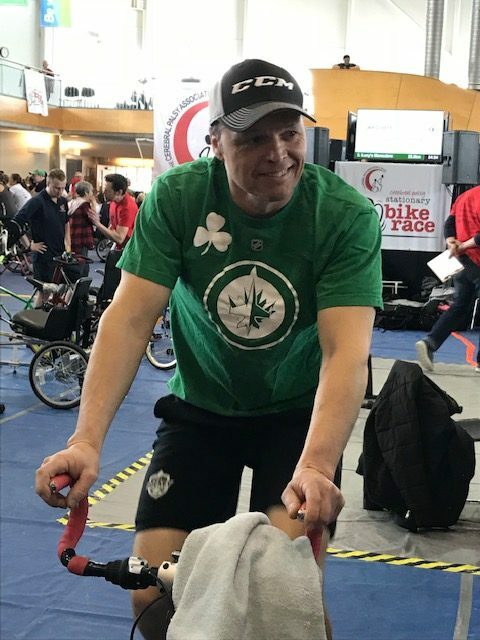 The Winnipeg Fire Department’s Stationary Bike racing team just completed its 25th consecutive year of fundraising in support of the Cerebral Palsy Association of Manitoba. The day went very well. “No Injuries.” As well with everyone’s help! 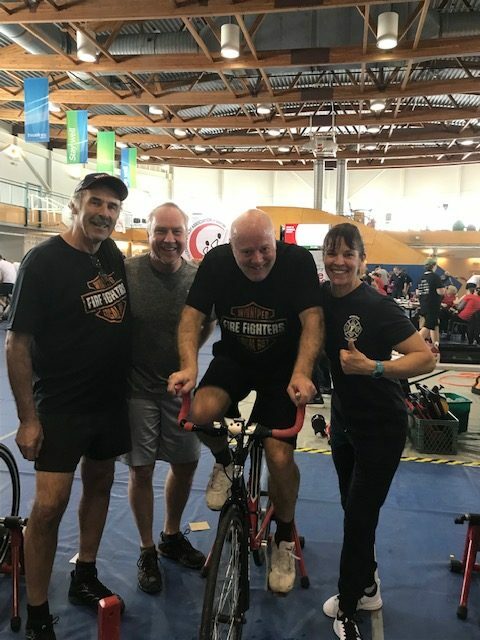 The team continued to represent the department in a very proud manner, raising more than $8,300.00. The events final total was over $187,000.00 collected. 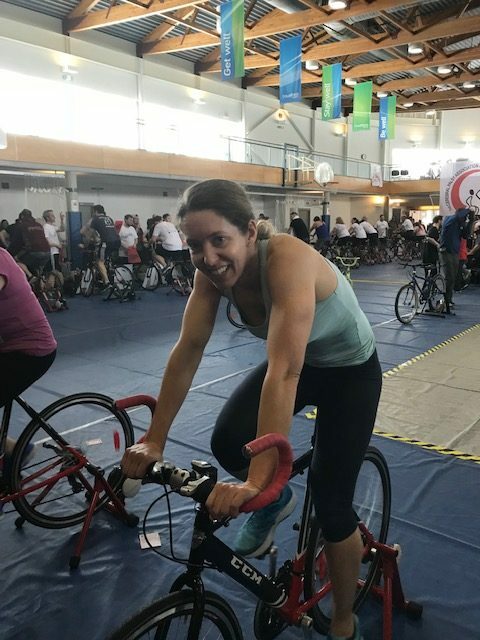 Our big fundraiser “No Surprise” was retiree Jake VanLeeuwe, the farthest peddler was Mark Oswald with 19.34 kms. and our first-time riders Mathew Joling, T.J. Belluk, and Ryan Glesby. A big thank you to you all and to Local 867 who have supported us every year from the beginning of our endeavor.